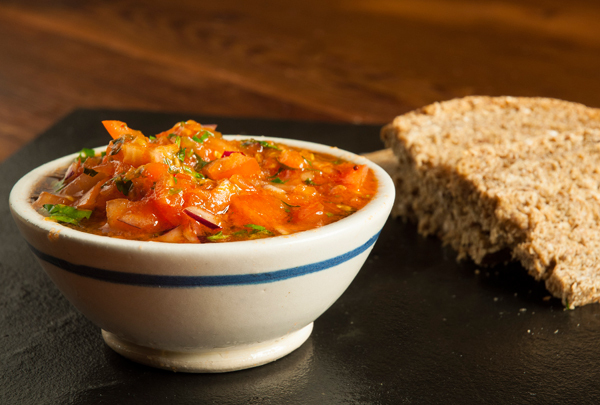 We all love a tomato salsa and unfortunately, there’s none worth buying in the stores, leaving the best and freshest option up to us. This one goes perfect with nachos, crisps, in wraps or even with some grilled chicken! Take 4 of the tomatoes and dice them up into small pieces and put in a bowl. Mix the pulp with the chopped tomatoes.